Numerous trusts and foundations, both regional and national, generously support the high-quality artistic programme and projects of the Elbphilharmonie and are indispensable partners in the development of a pioneering concert hall. The Kühne Foundation has been an avid benefactor of the Elbphilharmonie and Laeiszhalle's music programme since 2012. In 2014, the foundation facilitated the re-establishment of the »Hamburg International Music Festival«. The Kühne Foundation supports in particular prestigious guest performances. At the »3rd Hamburg International Music Festival«, the first edition to also take place at the Elbphilharmonie, the Kühne Foundation enabled one of the festival's highlights with theguest performance of Giuseppe Verdi's »Messa da Requiem« by the Orchestra Filarmonica della Scala under the baton of Riccardo Chailly. The launch of the Körber fund »ZukunftsMusik« in 2006 began Körber Foundation’s regular commitment to supporting and enabling socially relevant projects in the new concert hall building. With its generous and continuous support since 2007, the Hans-Otto und Engelke Schümann Foundation has facilitated the first-class interior in the Elbphilharmonie Recital Hall. The Haspa Music Foundation has made it its mission to sustainably contribute to the development of Hamburg as a city of music. It is therefore a partner of the Elbphilharmonie’s school concerts. 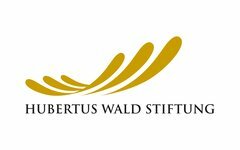 For more than 20 years, the Hubertus Wald Foundation has committed itself to the development of a high-quality music programme for children and to inspire children to get to know classical music. It funds the World of Instruments’ »Klassiko« programme. The Ernst von Siemens Music Foundation eagerly supports the advancement of contemporary music at the Elbphilharmonie and makes this season's »Multiverse George Benjamin« possible. The Cyril & Jutta A. Palmer Foundation helped to launch the »Teatime Classics« at the Laeiszhalle in 1998. From season 2016/17, it enables a further series: »Pianomania« in the new building on the Elbe. With its keen interest and commitment to music education, the Mara und Holger Cassens Foundation has supported the Laeiszhalle and Elbphilharmonie since 2011. The Adam Mickiewicz Institute is an institution for the promotion of Polish national culture. Its main mission is to promote Poland and Polish artists abroad, to realise projects and to represent Poland's cultural heritage and contemporary achievements. Classical Futures Europe is a platform dedicated to supporting emerging classical music talent in Europe. Classical Futures Europe is funded by the European Commission's programme »Creative Europe« and unites 12 leading concerts halls, creating new alliances and opportunities for emerging artists, promoters and audiences alike. »Creative Europe« is the European Commission's framework programme for support to Europe’s cultural and audiovisual sectors. It aims to enable these sectors to reach their full potential, to give them access to new international opportunities and audiences, and to promote innovation and creativity throughout Europe.